This is every hunters dream; shoot elk off the front deck of your new 20 acre piece of land! 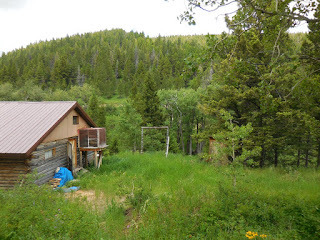 There is a cabin on the property that does need some work but, a little elbow grease will make it a great retreat to live all year on. The access is great, may need minimal snow plowing for year round living. All outdoor activities are just up the hill. It is close to Lincoln, Wolf Creek, Missouri River, Holter Lake, Hauser Lake, Canyon Ferry Lake, Helena National Forest, Scapegoat Wilderness, Rocky Mountain Front, Gates of The Mountains Wilderness, and many more places to hunt, fish, hike and enjoy all the outdoor recreational activities Montana has to offer. Give Grant Bonnice a call for your private showing today at 406-439-0059. Priced at $129,000.